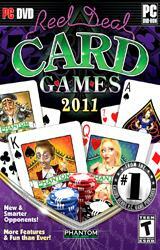 You wont find a more entertaining card game package anywhere! 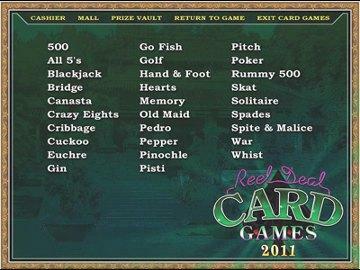 Reel Deal Card Games 2011 brings you over 80 card games, including 7 Poker varieties, 45 Solitaire variations, Hearts, Spades, Blackjack, Cribbage, Canasta, Rummy, Euchre, and many, many more! 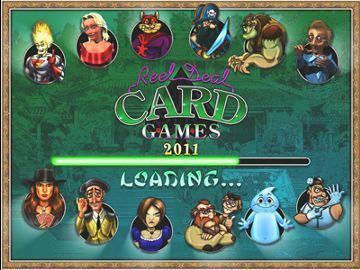 Besides the entertaining card games themselves, some more fun features of Card Games 2011 include: Unlockable slot machine and mini-games, an all new Prize Vault, side bets with every character, fun cheats to use in each game, new backgrounds, music, player movies, and card backs, skill settings for opponents from easy to expert, and in-game help for each game to help you learn how to play. I am Anakin. 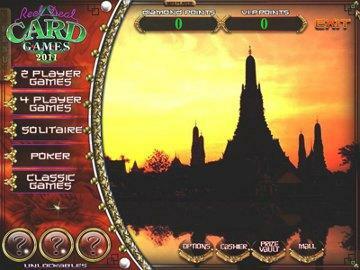 May the force be with you!